One brave raccoon performed a Mission: Impossible style move that left a crowd of concerned onlookers in awe. 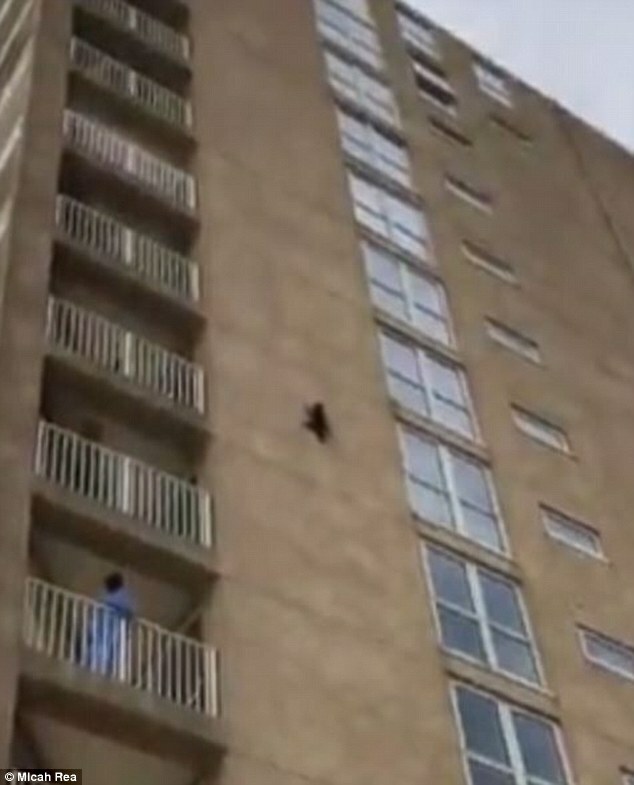 Shocking video shows a raccoon scaling a New Jersey building many stories high. The animal seems appears to have reached unexpected heights, unclear of how to get down. As the crowd of bystanders record and gawk at the stranded raccoon, it unexpectedly leaps and makes a smooth landing. South Carolina man Micha Rea, was vacationing in Ocean City, New Jersey, when he captured the incredible video of the raccoon about nine stories high. 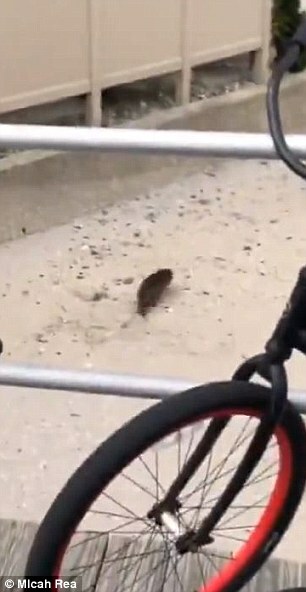 He said he was walking with friends on the boardwalk when they spotted the raccoon and immediatley strted recording. A crowd began to form. including animal control, and soon there was a whole group of onlookers gawking at the animal.As Rhea pans the camera to capture the crowd, he comes back to the raccoon just in time to watch it make a heroic leap. The raccoon spreads out his arms and hits the sand hard. You can see someone even attempt to catch the little guy. 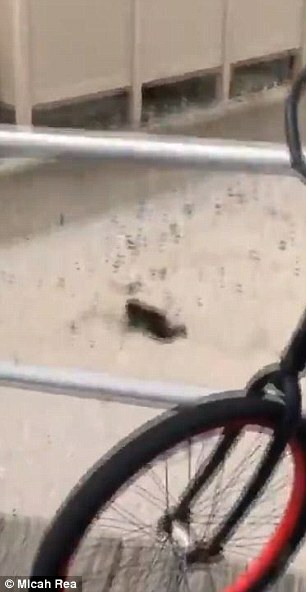 As the crowd gasps, the animal gets up and runs off as if nothing ever happened.